The Language and Memory Aging lab is housed on the 10th floor of the Behavioral Sciences Building. 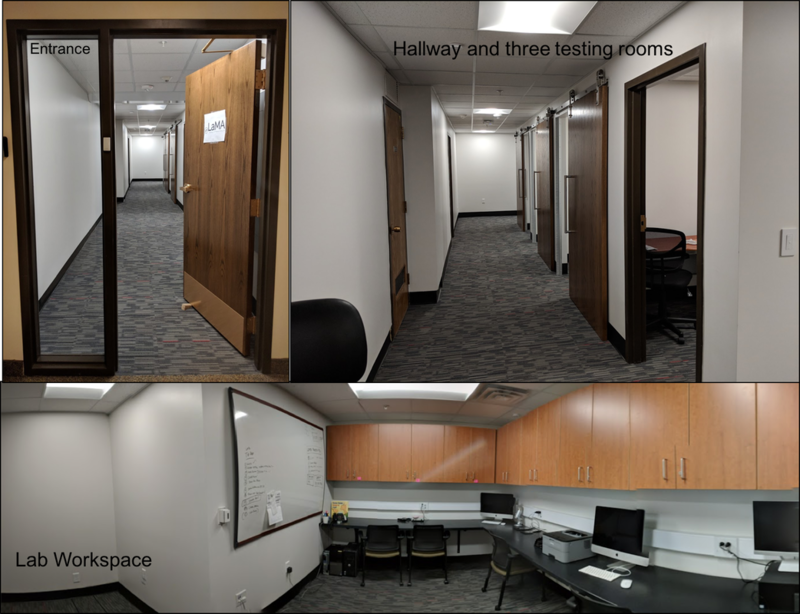 The newly-renovated lab contains two cognitive electrophysiology testing rooms equipped for conducting electroencephalography (EEG) and event-related brain potential (ERP) experiments. EEG Labs A and B include co-registered high-resolution optical eye-tracking cameras for simultaneous eye tracking and pupillometry during EEG recording. The lab also houses equipment for audiometry/ speech audiology, and behavioral/ neuropsychological testing. We also have access to transcranial magnetic stimulation (TMS) and structural and functional magnetic resonance imaging (MRI) facilities.